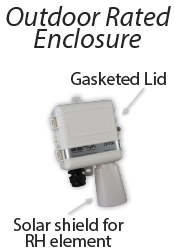 The CHTOL Series is designed to be mounted on the building exterior to provide outside CO2, relative humidity and temperature measurement all from one outdoor rated enclosure. 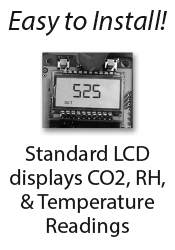 The standard LCD, gasketed lid and field replaceable CO2 element make initial installation and future service a breeze. 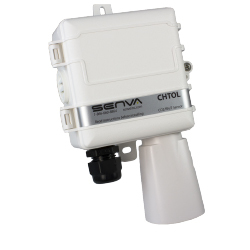 The CHTOL can also be customized with optional RTDs or thermistors for further added flexibility when ordering.